Place your logo above your entry or if necessary, repeat your company under another name. 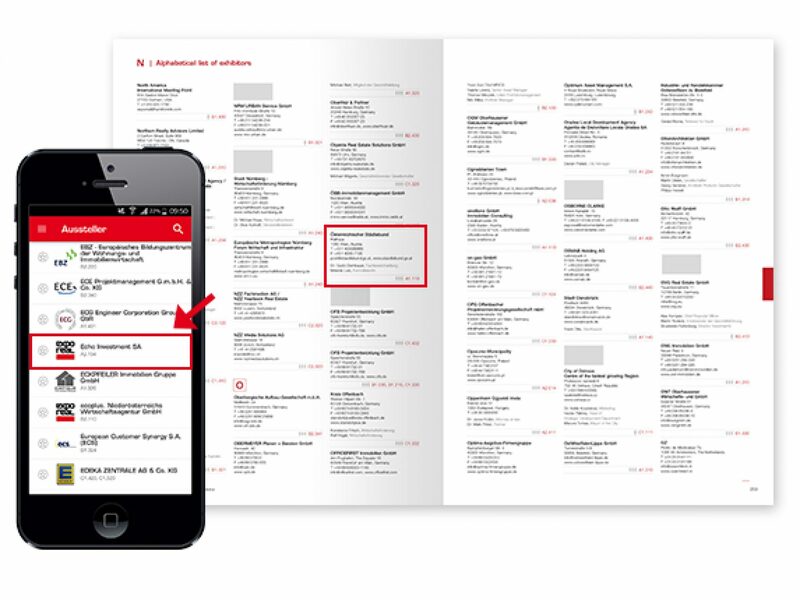 Participants can also find the alphabetical list of exhibitors in the online and print catalog as well as in the EXPO REAL app. Your logo appears repeatedly once booked. 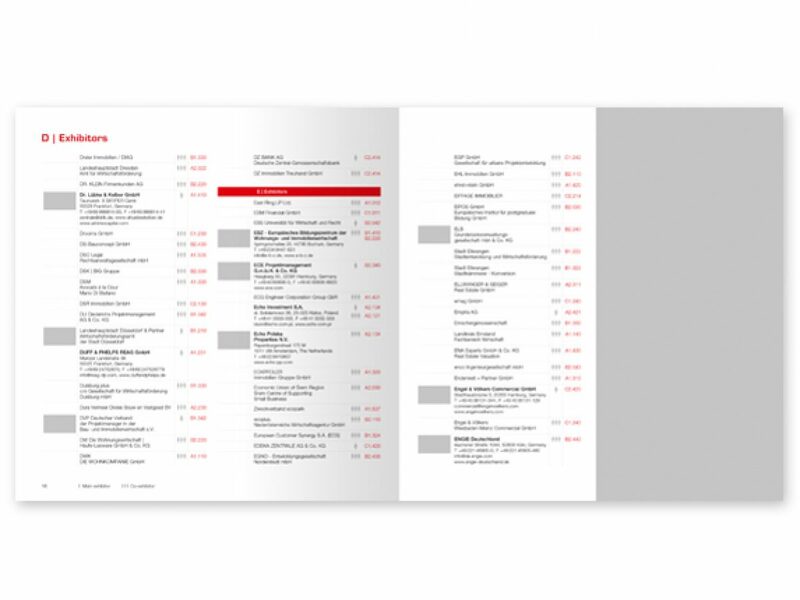 When booking an exclusive logo above the hall plan, you are also published in the EXPO REAL Guide, the online catalog and on large poster plans directly in the trade fair halls. Complete your entry in the EXPO REAL Guide’s alphabetical list of exhibitors with a logo, so that trade fair participants can easily get in touch with you. Along with full contact details, your logo also appears in the online hall plan. 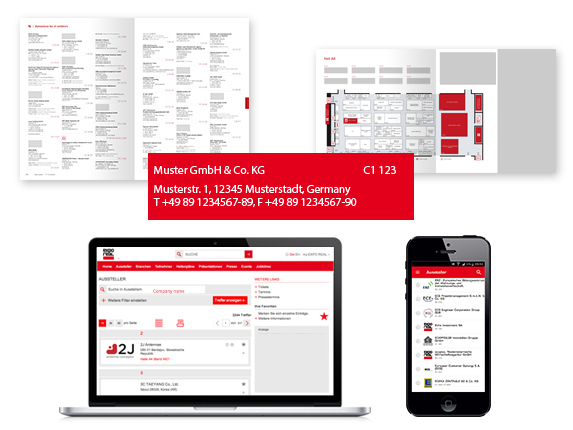 * Please note that booking the logo in the app hall plan is reserved for main exhibitors only. 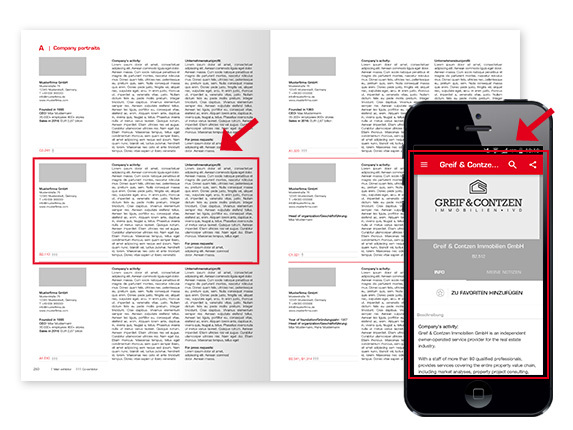 Prominent and detailed – Showcase your company in the online catalog, EXPO REAL app and on a 1/3 page in the print catalog! * Only 2 entries per exhibitor are allowed in the industry directory. The industries have to be indicated during the online application for EXPO REAL. 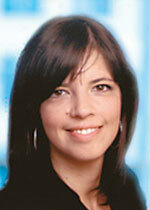 Changes can only be made with the EXPO REAL exhibition director.